The Symposium CC focused on "Cultural heritage-materials, techniques and knowledge perspectives on a common identity". This Symposium intended to be a common ground where challenges and solutions in the knowledge of arts, archaeology and ancient technology could best be answered by the application of methodologies, techniques and solutions generally used in Materials Science. The Symposium sponsored an interdisciplinary exchange in expertise stimulating the development of new and improved materials related to preservation and conservation science addressing questions on weathering, restoration strategies, climate change and anthropic pressure on movable and immovable CH, with the aim to advance our understanding of material culture. The EMRS Spring Meeting, frame of this Symposium, attracted in 2018 more than 2 700 people from all over the world and was held in the Convention Centre of Strasbourg (France), from June 18 to 22, 2018. In parallel, the HERACLES project was presented during the Europe in Motion-EUMAT joint session held on Wednesday 20th. 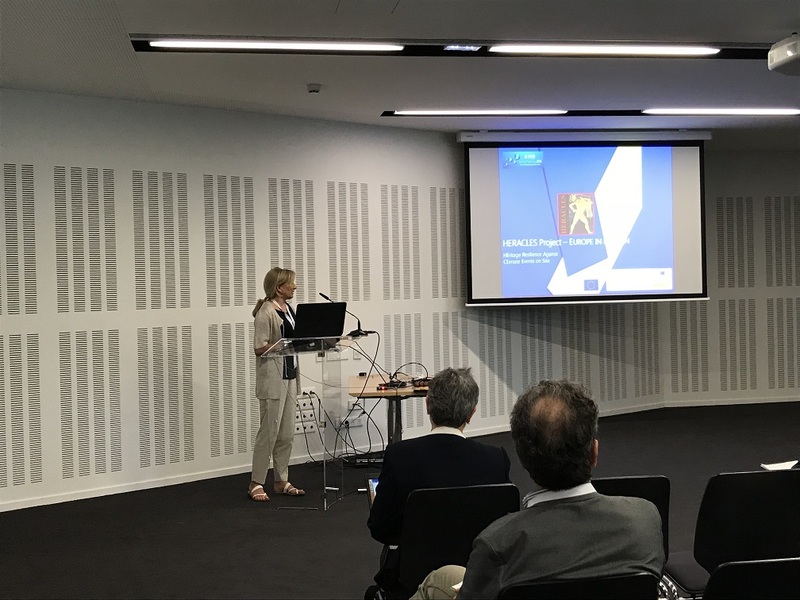 The aim was to show the developments of the European policy in material science, a introduction to European-funded projects, and to show an overview of EUMAT activities. This event gathered around 70 persons. Fianlly, a stand dedicated on HERACLES was included in the exhibition area, presenting the project through flyers, roll-up and a PowerPoint presentation. The booth standed during the whole exhibition.